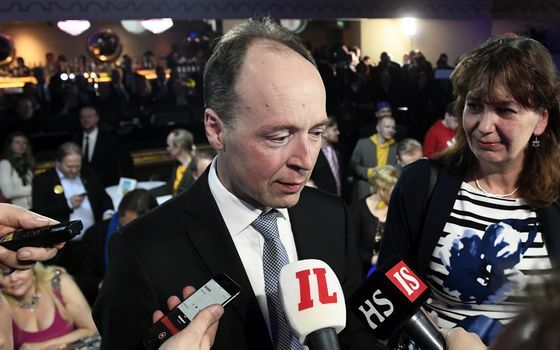 Halla-aho’s party has called for a complete stop to what it calls “harmful immigration,” and has embarked on a campaign to get “Finland back.” Those explicit anti-immigration policies helped lure voters, and Halla-aho had the most personal votes in the election. With the anti-green agenda, the Finns Party put its finger on the pulse of rural voters who travel long distances or do industrial jobs, a demographic that has also sparked the Yellow Vest protest movement in France. Halla-aho argues that Finland shouldn’t damage its industry by trying to reduce emissions more than other countries. Finnish opposition to immigration shot up in the wake of the 2015 refugee crisis, when the number of asylum seekers, mostly from Iraq, jumped almost nine-fold. Resentment at foreigners was stoked again this year following reports that several refugees had been arrested after being accused of sexually abusing children. Just 7 percent of people living in Finland were born outside the country, compared with about 20 percent in neighboring Sweden, which is also dealing with a surge in right-wing populism. In Finland’s cities, the nationalists received most of their votes in neighborhoods that have a high concentration of immigrants.